Matthew wrote his account of Jesus' ministry to show that Jesus was and is indeed the King, Israel's long-awaited Messiah. 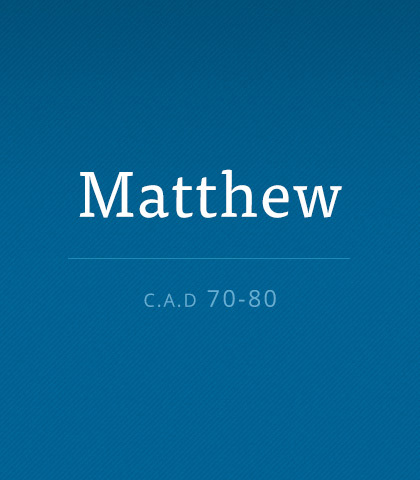 Read more about the book of Matthew. “You can prove anything you want to from the Bible!” Have you ever heard someone make that claim? Probably so. For the most part, it is true. If a person really wants to find biblical “justification” for some belief or activity and is willing to use half-verses, to take passages out of context, and to twist the meaning of various terms, then he or she can “prove” just about anything from Scripture. What If You Talk Too Much? Honestly, do you talk too much? Do you find yourself saying, “I shouldn’t say this…” and then going right ahead and spilling it out? Do you promise to keep information shared in confidence, only to leak it a few days (or even a few hours) later? Do you spend too much time filling the air with words yet saying very little worth hearing? God is more concerned about our hearts and our being, more than He is about our doing—who we are as opposed to what we do. That sounds pretty radical.